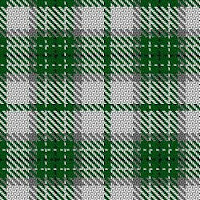 So I'm online the other day, scrolling for a tartan pattern for a kilt I'm planning to get made at some point in the not-too-distant future (don't ask, long story), when I stumble across something amazing: The official Michigan State University tartan. I'm not talking about some design someone whipped together on a whim and posted to some message board, this is actually registered with the Scottish Register of Tartans, which oversees that sort of thing. It was registered to commemorate the university's sesquicentennial anniversary in 2005. For those unfamiliar with Scottish rites, a tartan is not the skirt-looking thing most people think it is (that's a kilt), the tartan is actually the color pattern. It's measured in a stitch-by-stitch color palette. For example, Gr20, Blk5, Gr20 would be 20 stitches of green, five of black and 20 of green, for a thin black stripe between two thick green stripes. Repeat as necessary, on both the x and y axes of the design, and you get the box-shaped patterns that frequent most tartans. The colors of the MSU tartan, oddly enough, aren't green and white though, instead a green and light gray, with dark gray and black accents. There's a sensible reason for this, as white is very rarely used in casual tartans because it shows any amount of dirt very easily. Hence the light gray. There are two other official tartans in the state, one for the Michigan State Police (an unfortunate blue and yellow design) and a regional design for the state's "Up North" area. The Up North design is the leading candidate to be made the state of Michigan's official tartan, though legislation to that effect is stalled in a state Senate committee. As for the University of Michigan? They have no tartan. I put it down to a lack of confidence needed to wear the thing in public. Hollis: Season Ticket Sales "Awesome"
Michael Jackson in Spartan Stadium!